There’s no need to complicate style and Nodin knows it. This sleek rug makes a statement without any fuss. Nodin is a large flatwoven rug made from wool. So, it’s lightweight and keeps your space cosy with a dose of Nordic style. 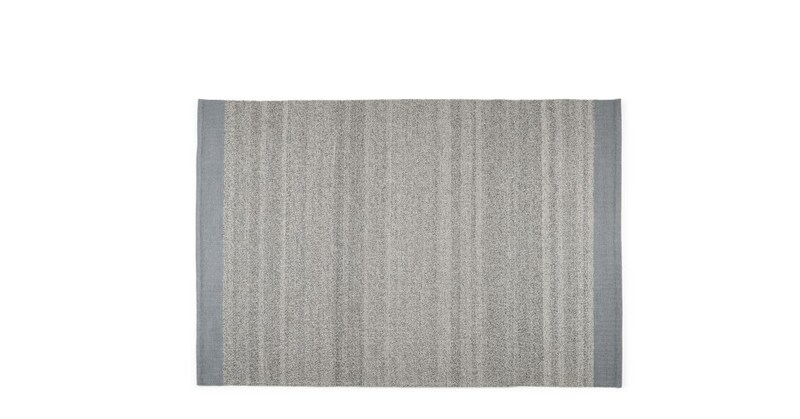 This rug’s tonal grey colour is worth a second look. And the contrasting border completes the sophisticated design.